Ask Our Guides: Favorite Arigato Japan Food tour? Discover great advice from our passionate guides and local experts in this new series "Ask Our Guides"! Discover great advice from our passionate guides and local experts in our series “Ask Our Guides”! What is your favorite Arigato Japan food tour and why? This month we asked our beloved, adventurous guides Taena, Mario and Gabi what are their favorite Arigato Japan food tours and why? 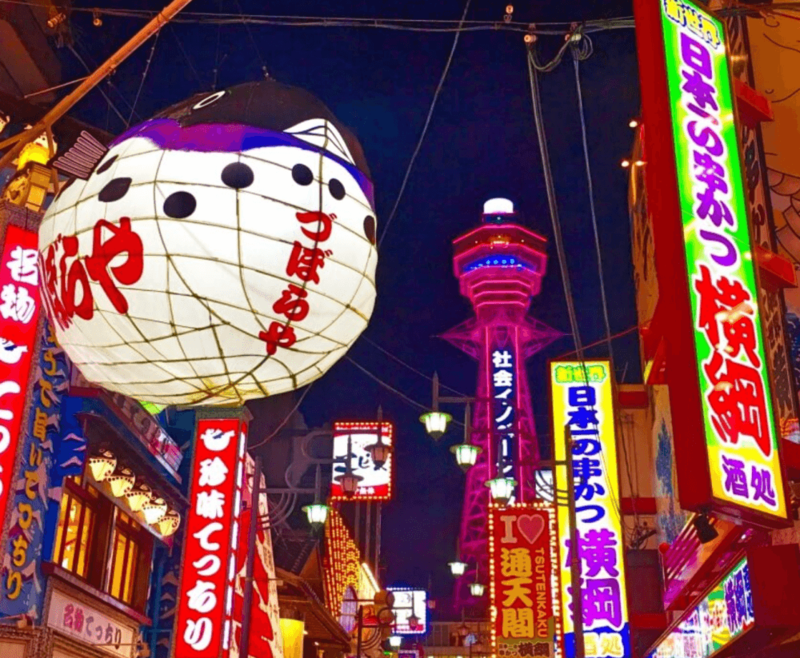 Our Retro Shinsekai Tour gives you a glimpse in to another Osaka, making it my favorite tour. Under the iconic Tsutenkaku Tower, Shinsekai is old Osaka, frozen in time yet buzzing with life and character. Billiken statues and giant fugu lanterns decorate the streets, while retro game arcades and noisy izakaya provide its festive soundscape. Amid this vibrant atmosphere, you can venture down a laneway and step in to a different world – a time capsule of standing bars and shogi parlors. So come and fill your bellies at the birthplace of kushikatsu with our Shinsekai tour! My favourite tour is definetly the Osaka nightlife tour! It takes place at Dotombori area, which is a very lively part of Namba, where most bars and restaurants are located. Just a walk around the area is already amusing, with all the street lights and shop facades… It is common to spot people wearing costumes or even carrying their unusual pets around. Also, Osaka nightlife tour has amazing food stops, and you’re guaranteed to try original Osakan soul food. You’ll fill up both of your stomachs, including the one we have for dessert! After the tour, if you still fell like experiencing more of the area, you can easily find bars, pubs, nights clubs, live music, anything! This is for sure a great way to get started in Osaka! 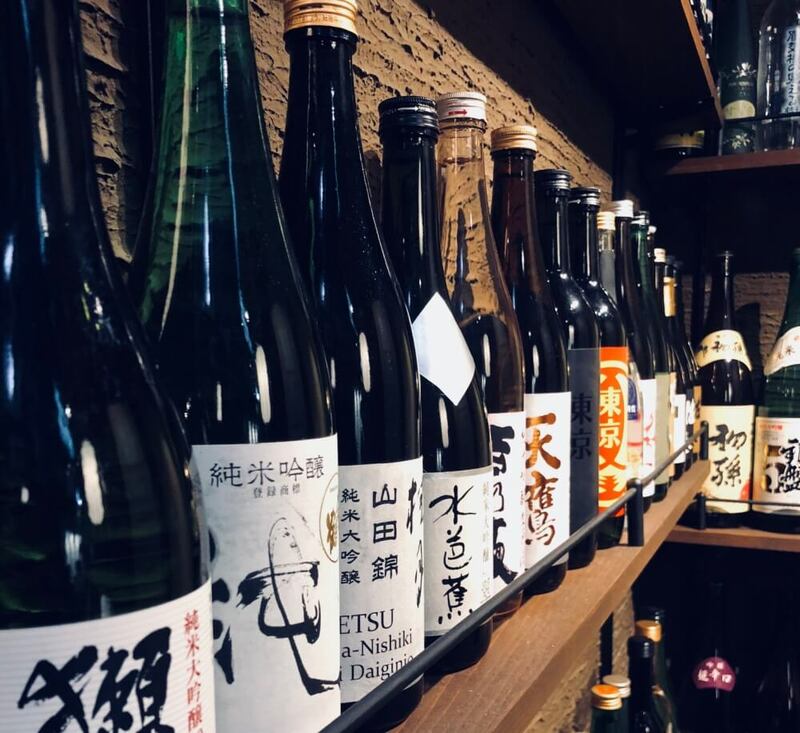 The All Star Tour spanning the three areas of Yurakucho, Ginza and Shimbashi is rich in history, culture and of course gastronomy. It is also one of contrasts. Why are similarly clad business men drinking in tiny bars under the railroad tracks? 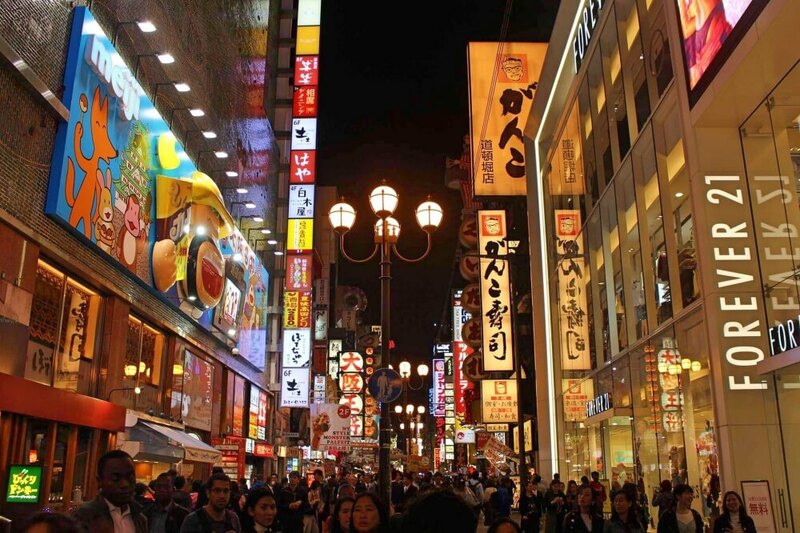 How did Ginza become the upscale shopping mecca that it is today? And, why do identical brands found in Ginza look completely different in adjacent Shimbashi? The All Star Tour serves as the perfect backdrop for me to delve into these questions and more, all the while eating our way through the district. 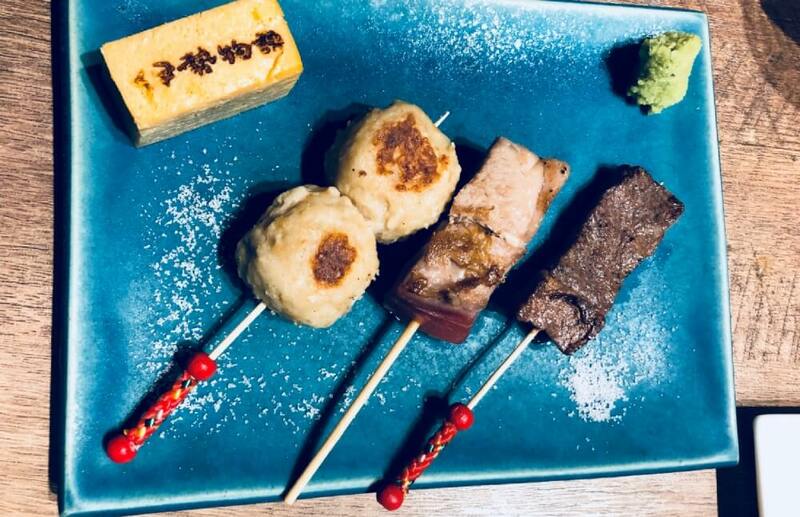 With food stops including local specialties, paired with 8 years of experience of living in Japan, I am also able to take guests on a virtual food tour of the country’s different regions without ever having to leave the city! Discover more about our talented Arigato Japan guides and be sure to mention them by name when booking if you want book a tour with a specific guide!